Precious little Elaina playing peek-a-boo is just priceless! Love that sweet little smile and big beautiful eyes! Elaina has always been a bit timid around me, but this time she was the perfect little model, taking direction like a pro! Be sure to vote for Elaina by leaving a comment below and be sure to put your name. Take a moment to Follow the Blog so you will get updates. I don't think little (if you can call him that) Joshua can get any cuter!! He is so adorable with his big belly and a smile to match! Vote for Joshua by leaving a comment below and be sure to add your name or better yet, Follow the Blog! 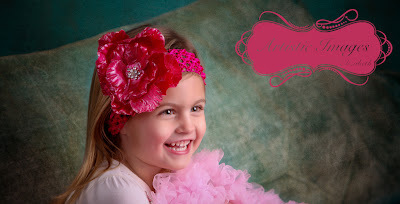 Sweet little ballerina Natalie! 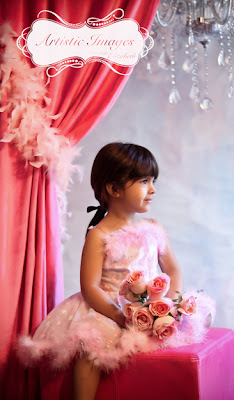 She is so pretty in her girly girl scene full of pinks, feather boas and chandeliers! Love it! Be sure to vote for Natalie by leaving a comment below and sign your name, or better yet, Follow the Blog! 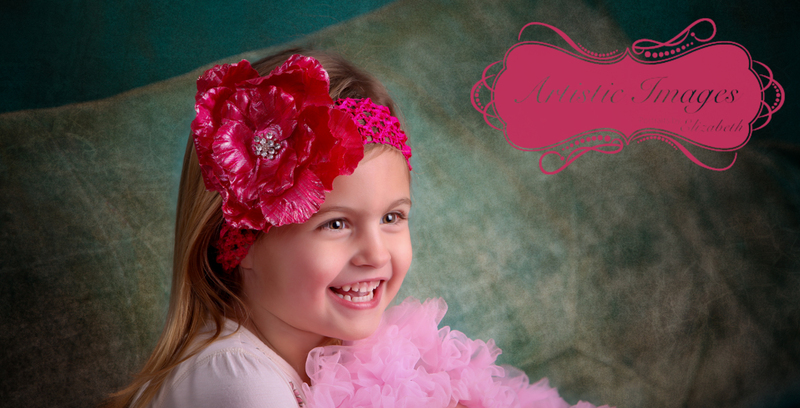 Precious little Ellie is beautiful in shades of pink and turquoise. Her smile is just precious and expression just makes me happy! Vote for Ellie by leaving a comment below. Be sure to sign your name or sign up to Follow the Blog! Rhett is absolutely adorable with his gang of Teddy Bears!! His expression is priceless, kind of like he was caught with his hand in the cookie jar (or "puff" container). Vote for Rhett by commenting on his photo here! The image with the most "votes" wins Portrait Credit and a chance for Cash Prizes!!! 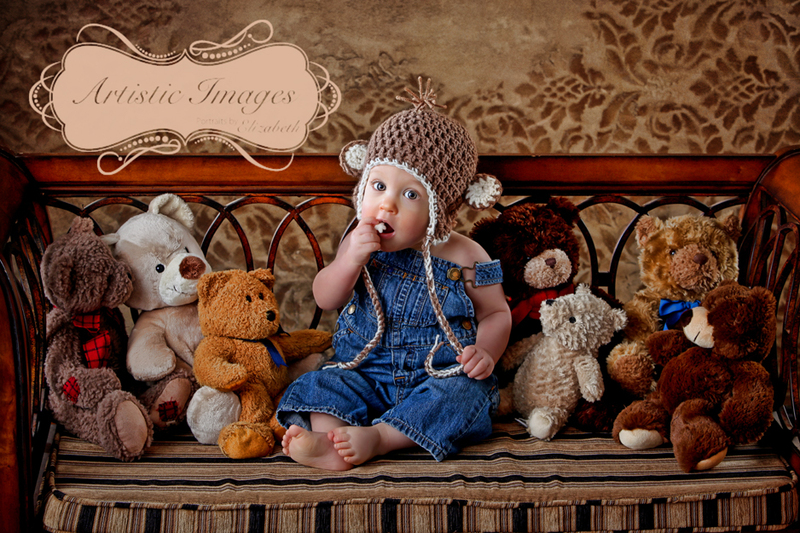 Our very first Baby and Child Portrait Contestant is here! This is Ethan! Take a look at his beautiful eyes. 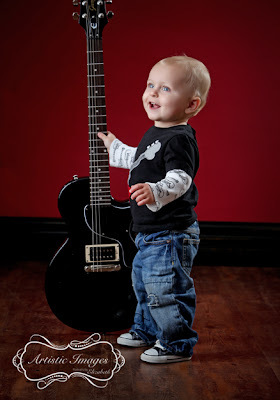 He is a gorgeous little guy with a love for his daddy's guitar. We had so much fun! To vote for Ethan: Please make a comment below. Only ONE comment per person will be counted as a vote. The child with the most comments will win some awesome prizes! Amateur Photography Class is FULL!! Oh My! I had a HUGE response to the Photo Class I am giving on February 2nd! Actually, it completely filled up in the first 2 hours that we advertised the date!!! It filled up so fast that we started taking names for a waiting list and within the next few hours we had filled a whole other class which will take place on February 1st! We are currently taking names for a waiting list and will call if we have any cancellations. I just want to be sure that everyone is clear about this class. If your name is NOT on the list (in other words, you would have had to call and told that you were in the class) you will not be able to attend the class. Unfortunately, we do not have the space to accomodate more than 25 people for the class. So, you are unable to bring friends, family, kids or even too big of a purse! Sorry!! With our waiting list today totalling about 20 more people, I am sure that I will do this in the future. Be sure to always check Facebook as that is the most current form of news I can put out there. Thanks everyone for your amazing response to the class and I am excited to see all of you!! 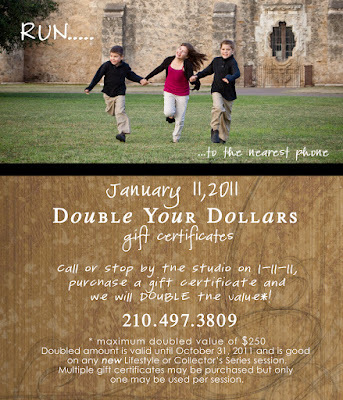 50% off during the month of January! Ladies, here is your chance to do that portrait that you have always wanted to do but haven't done yet. All Secret Door Sessions are half price during the entire month of January. What is a Secret Door Session? An incredibly artistic portrait of a woman, capturing her inner and outer beauty. It doesn't matter what age or size you are. A Secret Door Session is a celebration of YOU! 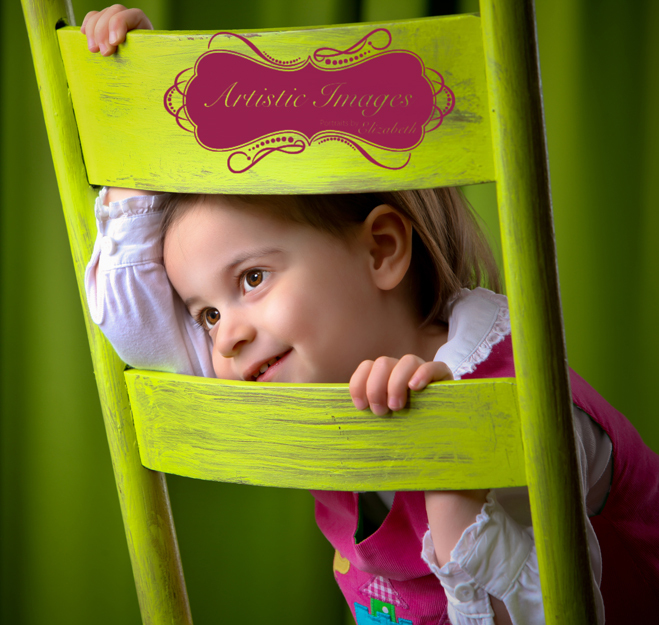 Elizabeth will personally meet with you for a one on one consultation to discuss your thoughts and get her artistic input on how to best photograph you. No worries, Elizabeth and you will be the only ones present during the portrait session and you can even bring your favorite wine if you wish. What better gift for your honey than the gift of yourself! Calling all Moms (or Dads) with cameras! If not, we are asking for a $25 donation to the Phelan-McDermid Syndrome Foundation (this is my son Jacob's disorder). You can either bring a check that evening or go online to http://www.pmsf.org/ to donate and bring a copy of your reciept.